Never grow up as you learn about what inspired Peter Pan creator J.M. Barrie to become a writer after meeting four young brothers and their beautiful widowed mother. 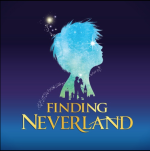 Learn how the story of Peter Pan was born through the brave ascension from reality to the world of Neverland, where the wonderment of childhood lasts forever. This Tony Award-winning Broadway musical comes to life with a contemporary take on this timeless tale. Don’t miss the classic moments with the pumpkin, the glass slipper and the inspiring story of believing in your dreams alongside some surprising new twists! 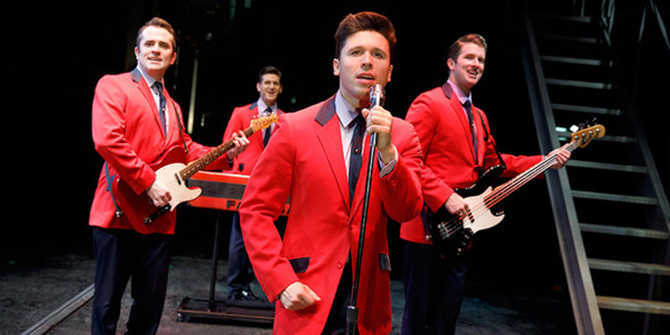 The story of Frankie Valli and the Four Seasons hits the stage in Wichita when four regular guys from Jersey open their mouths, letting out the sound of angels, landing them in the Rock ‘N Roll Hall of Fame. This story brings to life the history of this amazing American rock band, creating an international sensation all over again. Everyone knows the story of Evita – which follows the rise of Eva Perón, as she becomes the beloved Argentinian First Lady. This musical combines Latin music, pop, jazz and musical theatre styles that have made it Broadway royalty for more than 40 years. Time: Wed. & Thurs., 7:30 p.m.; Fri. 8 p.m.; Sat. 2 & 8 p.m.; Sun. 1 & 6:30 p.m.
She’s known for her flourishing music career and working from the bottom up, Carole King became a chart-topping legend by her 20s as she wrote hits for the biggest acts in Rock ‘N Roll. This inspiring musical tells the true story of King’s life and her rise to fame. 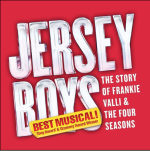 You won’t want to miss this spectacular show as the characters play out the soundtrack to her life on stage. For more performing arts shows and performances, see other things do to in Wichita, KS.